Did Matthew Morrison call his ex a dumb-dumb? 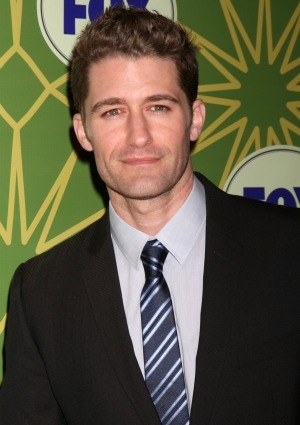 Matthew Morrison has his defenses up today after a report surfaced saying he pretty much called his ex stupid. Did it happen? Read on to find out his reaction. Talented, cute… and really mean? That’s what one British tabloid is trying to make Matthew Morrison out to be. In a story that ran in the Daily Mirror today, one reporter claims that Morrison slammed ex-girlfriend Kelly Brook during a casual convo at a Los Angeles party. Ouch! Why would he say something so mean when we always thought he was such a nice guy? That’s the thing: He didn’t. Or, at least he says he didn’t. Moodie also claimed Morrison complained to her about his dream of a contract with Glee. “Once they have you, they trap you. I’m tied in to seven years — I signed up to seven years and I cannot get out of it,” Morrison supposedly told her. Interestingly, Morrison did not address that quote in his Twitter denial. Think there’s something to it?